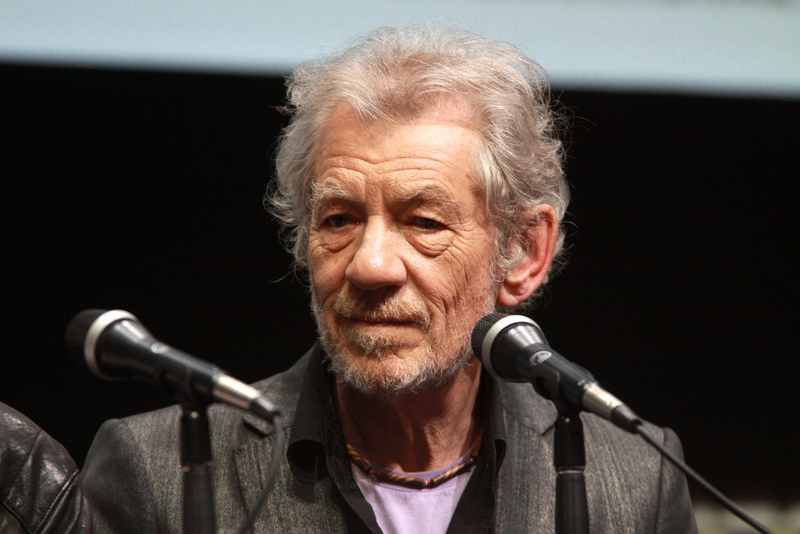 How Exciting: Sir Ian McKellen to Play Sherlock Holmes! In casting news that’s pretty much guaranteed to make you smile – and possibly wonder why this hasn’t happened before now – its official: The great Sir Ian McKellen is set to play Sherlock Holmes. McKellen will star in the film A Slight Trick of the Mind, a story about the legendary fictional detective that’s going to be quite different from almost anything we’ve seen before. Based on the novel of the same name by Mitch Cullin, the story focuses on Holmes when he is 93, long-retired in Sussex and living with a housekeeper and her amateur-sleuth son. Holmes becomes haunted by an unsolved case from fifty years ago, of which he can only remember fragments: a confrontation with an angry husband, a secret bond with his beautiful but unstable wife. With the great detective’s legendary mind starting to go and without the help of his devoted sidekick Watson, it may be the toughest case of his life. Sound interesting? Read on? The film will be directed by Bill Condon, the man who’s currently about to drop Wikileaks film The Fifth Estate on us, and who previously worked with McKellen on the superb James Whale biopic Gods and Monsters. That film won an Oscar for Best Adapted Screenplay and got McKellen a nomination for Best Actor, so it’s pretty hard not to just assume outright that this particular version of Holmes will be stunning. Lacking that, we’ll just have to enjoy yet another take on the great detective – something that most of us will probably be just fine with given the level of talent involved. Though, honestly, it is a bit odd that McKellen – who’s done everything from Gandalf to Richard III – has never put the deerstalker on before this point. Filming is set to begin in the UK in April. Thoughts? Are you looking forward to yet another big-screen Holmes adaptation? What sort of Holmes do you think McKellen will make? Digital media type by day, Lacy has a fairly useless degree in British medieval literature, and watches entirely too much television in her free time. Ninth Doctor enthusiast and all around Whovian evangelist. Say hi on Twitter at @LacyMB. The Favourite is racking up award nominations at breakneck speed. Read on to see why you might find this unique film and its stars worth a look. A new adaptation of Rebecca is in the works, starring "Downton Abbey" alum Lily James! Four Weddings and a Funeral turns 25 this week. We look back at classic scenes from this unexpected hit and forward to its upcoming mini-sequel.